Back in my dieting days I would have thought a Muller Light ‘Mischievous Milk Chocolate Desert’ was the height of gastronomic indulgence. After a day of drab salad leaves, rice cakes and brined tuna, the thought of tucking into something – anything – with chocolate in it would’ve have been enough to make me crazy with (mischievous) excitement. The fact that it was low fat and under that magic 100 calorie marker would’ve made it taste even better. No need to feel guilty because it has the diet stamp of approval. In fact, I probably would have conceded myself two (I’ve been so good all day), or maybe even three (It’s only 99 calories, practically nothing!). I would’ve ignored the disappointing lack of chocolate flavour (not surprising – there is none) and the disturbingly metallic tang of the artificial sweeteners (there are loads). In my rush to inhale my ‘treat(s)’ I would’ve barely registered the gloopy, gelatinous texture and the thin, slightly acidic aftertaste. It was desert. It was a chocolate desert. Lucky me, thank goodness for Muller! 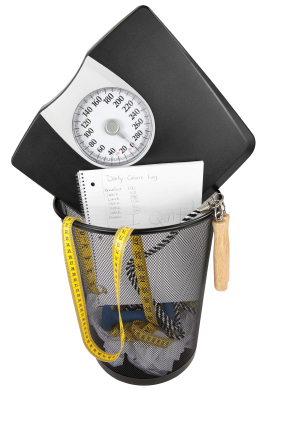 I still can’t believe I ate so much of that rubbish…and that I thought I was making a healthy choice! 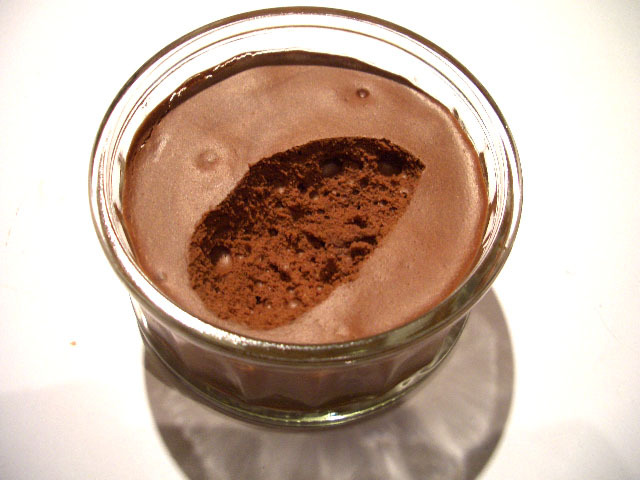 Nowadays if I fancy a chocolate desert I make my Aunt Sari’s chocolate mousse. It is the real deal. Dense, dark, super chocolatey. It isn’t mischievous. It doesn’t need to be. It is unapologetic in the brevity of its ingredient list, in its championing of the star ingredient and in its use of fat, without which it is impossible to achieve the sensual and satisfying mouthfeel you get from chocolate. Which is what a chocolate desert is all about. Break or cut the chocolate up into even sized pieces and place in a bowl over a pan of barely simmering water to melt. Make sure the water doesn’t touch the bottom of the bowl and don’t stir too much. Alternatively, microwave in 30 second blasts at a low setting, stirring and checking in between each go to make sure it doesn’t burn (which it does very easily). Set aside to cool. Separate the egg yolks and whites. In a medium sized bowl, beat the egg whites with a pinch of salt till stiff peaked. Then beat double cream to soft peaks. Set both aside. In a large bowl, beat the egg yolks and sugar until pale and frothy, stir in the melted chocolate then fold in the egg whites and cream very gently but thoroughly so that are no streaks of white in the mix. Gently spoon/scrape into your serving dish or individual glasses/ramekins, cover with cling film and leave to set in the fridge for at least 6 hours. Take out of the fridge 10 mins or so before eating. Serve with any thin, crispy ‘cat tongue’ biscuits … or just a spoon! – Add a couple of tbsp of strong expresso coffee to the chocolate once cooled and decorate with chocolate covered coffee beans. – Add the grated zest of an orange and a tbsp of orange liqueur like Grand Marnier to the chocolate once cooled. – Double or triple the amount of whipped cream to make a light, airy mousse to fill and cover cakes with. Audrey offers practical and hands on food & eating coaching to Beyond Chocolaters who want to rediscover the pleasure of cooking and eating good food. Cue Al being sent to get some double cream!! Sounds delicious!!! Did you make it, Galros? Dunnes was shut!! I was devestated. But he’s getting some today so we can have it tomorrow. if we’d thought to go round to Tesco’s we might have got some, but that’s a long walk at that hour of the night! It was absolutely GORGEOUS!!!! Yummity yum-yum-yum!!! It’s well worth making it Sarah! And of course when I have a really good chocolate mousse like this one it is so rich and satisfying, a true sensual experience, that I often stop before it’s finished. Certainly wouldn’t want to eat more than one. The trouble with artificial ones is you keep eating hoping it’ll get better! Yes, Mudskipper! One of these is more than enough…You’re not chasing a fantasy – you’re eating it! Ooh that sounds delicious and easy enough to make! You’re welcome. It is really easy Miranda – and delicious! made it for friends using valrhona chocolate and added some stem ginger that I had left over in fridge. Absolutely scrummy delicious and quicker to make than previous all time favourite ( Simon Hopkinsons Chocolate ginger pots) might try it with chili chocolate next?? I use Valrhona Rosy, it really makes a difference! Never teamed it with stem ginger but that sounds delicious. I once spent hours boiling chillies to make a syrup which I drizzled into the yolks instead of the sugar and it was pretty disappointing. There was a slight warmth in the mouth at the end of the mouthful but really nothing special. If you find a good way of getting chilli in there, let me know!